I don’t know too many people who are morning people. I also don’t know too many moms who like to get up early to rush around or make three trips to school because someone forgot their lunch and field trip permission slip. Having a routine can really make your mornings run a little more smoothly and hopefully reduce the number of things that are forgotten. While everyone’s still in pjs, grab breakfast. Most mornings breakfast is uneventful but having to add an extra ten minutes in the already tight schedule to change clothes because you spilled milk on them isn’t always doable and can start your day off on the wrong foot. Same idea as above. Spilling toothpaste on your shirt can ruin your morning. Brushing your teeth in your pjs can save you from having to dig another clean shirt out of the laundry basket. Getting dressed should go pretty quickly if you laid everything out the night before. No standing in the closet wondering what to wear or digging through drawers to find a favorite pair of socks. Walking to the bus stop or to the car should be easy because everything got put by the door last night before heading to bed. Don’t forget to grab your lunch out of the fridge! If you need a minute to yourself to enjoy the news with your coffee, consider setting the alarm 15 minutes earlier than the kids are going to get up. 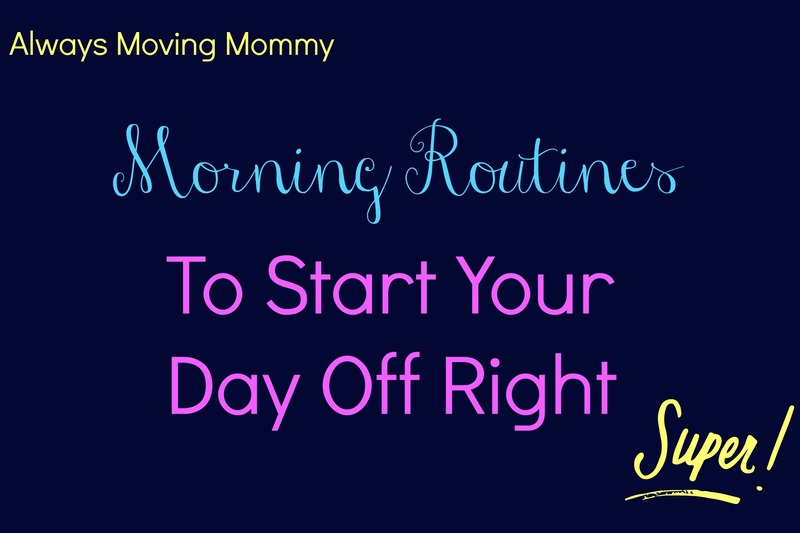 Want to get yourself all ready so you can supervise the kiddos once they’re awake? Consider setting your alarm 30 minutes earlier than theirs so you’re ready to go once they’re up and moving. You being calm can really set the tone for the day. What’s part of your morning routine? Do you wake up with the kids or before them?